This site was born from the desire to fill a gap in the market where information is critical to making intelligent buying decisions. We started this site with a focus on chainsaws but we’ve been growing fast and so we’ve decided to expand our reach to outdoor tools, such as snow blower, log splitters, leaf blowers and wood chippers, just to name a few. And recently we’ve begun to add tools that you would likely use indoors, such as general power tools and also more domestic appliances like vacuum cleaners. Ultimately, our goal is to provide you, the reader with accurate information and practical advice and insight that will empower you to make an intelligent buying decision. Who knows what the future holds but it’s exciting to have started Chainsaw Journal in this age of the internet. We strive to bet better each and everyday and we’re here to listen to our readers. Our site includes a wide variety of content, which includes: reviews, articles, opinions, news, tips and general buying advice. This is an Amazon affiliate site and I make a small percentage if you buy through my links but at no extra cost to you. We have several writers who are extremely knowledgeable and experienced with tools, DIY, carpentry, home improvement, mechanics and a wide range of practical experience with the type of tools that we cover on Chainsaw Journal. When they can’t rely on their direct experience, they invest their time in doing thorough research to bring you conclusive information that we can share with you. As I always say : “We do the research, so you don’t have to.” You can meet the writers at the end of this introduction to our site. I was inspired to begin this site in order to provide value to consumers who want to make informed decisions and spend their money wisely. Personally, I spend a lot of time on research and all too often I wished I could just go to one place to find all the information I need. So I decided to create Chainsaw Journal in the hope of helping others. My intention is to help you by providing useful information so you purchase the right type of tool to match your needs, and more importantly, to give you information that you may not have been aware of. New articles are being created daily so please be patient if you don’t find what you’re looking for. I’m working hard to make this an invaluable resource site for people wanting to learn and understand more about the tools they use. As you know, it can be overwhelming to sift through the internet and try to determine the right product you need to match your needs. Let’s face it, buying any type of product can be confusing, but it doesn’t have to be. This site will continue to grow, so if you can’t find the answers you’re looking for, please let me know so I can add it to my list of topics to cover. So welcome! I created this site to be the definitive resource on all aspects of buying, owning, and maintaining outdoor and indoor tools and power equipment, as well as unique outdoor toys for kids. Written by the writers themselves, in their own words. The long journey toward becoming a writer of technical articles, has taken a lifetime of experience. It started before I can remember. My parents tell me that I was naming and identifying cars from the moment I began to speak. I was 2-years-old when I started pointing out different cars and associating them with people who drove the same car. Through my school years, I achieved in all the academic subjects and it was agreed amongst my parents and my educators that I should do a business degree when I graduated high school. This was not what I wanted. If I had a choice, I would have studied engineering or architecture. Though this was not to be. I ended up with a degree in management accounting. Much to my father’s disappointment, I chose to follow a technical field. After university, I went to work as a lighting technician. I was enthralled by the technology of the time, which in the early nineties was pretty basic by today’s standards. In those days we used analog signals with relays and thyristors to control electric motors, and advanced, high-amperage lighting dimmers. I did a lot of in service training during those early years. I feel, to this day, that learning on the job is the best way for a technician to learn the trade. I learned all there was to know about electricity and electronics. Single phase and three phase motors with combinations of start delta wiring was where it started. With time, I became more interested in electronics and sine waves, using cool stuff, like an oscilloscope to observe the very nature of electricity. The early nineties was an exciting time for technology, as we moved away from analog toward digital technology. This is where I began to shine. I was young, enthusiastic, and eager to learn. Many technicians, and even some engineers, were baffled by the concept of digital signals, DE multiplexers, and modems. Not me, I was amazed by the new possibilities. Understanding digital technology came naturally to me, it’s really just analog systems on steroids. An analog signal has two options – on or off. If there is an electric current, a relay switch will close. If not, it remains the same. Digital binary code is basically the same, it’s either 0 or 1 (0 = no; 1 = yes). Essentially, we can say that analog “off” means no and “on” means yes. The difference comes in when we look at the complexity of digital vs analog. With an analog signal, on or off happens one switch at a time. Binary can make complex (almost infinite) combinations of yes/no (0/1) combinations. An example can look like this 00101101110. A single digital (binary) code can transmit a lot more information than simply switch on or off. Okay, forgive my ramblings, this is the stuff that caught my imagination back then, and still does. The result was, that I ended up moving quickly through the ranks, from technician to production manager in the space of a few years. I now found myself dealing less with hands-on tools and machinery, dealing more with employee management and technical training, workflow management, and sourcing new equipment and shop floor working techniques. During this time, I enjoyed the technical training the most and the sourcing of new technologies that would improve productivity. I regularly attended engineering seminars and technical industry conferences. It was great to be the first to learn about all the new cool technology that was growing daily. Whenever I specified new machinery, I would attend the training courses with the technicians. I had to understand how everything worked, so that I could help the technical and maintenance staff when there was a problem. By the time I was 40, I was MD for a company that supplied electrical engineering solutions. We dealt mostly with electric supply and power management systems. I wasn’t involved much with the daily grind of the business. 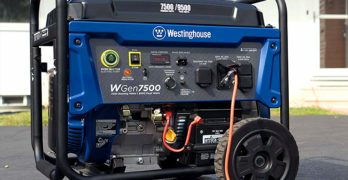 Which is supplying standby generators, voltage regulators and stabilizers, and large UPS systems. The more complicated projects, like large-scale solar (photovoltaic) systems and supplying Low HD power for critical systems, required my direct on-site involvement. This was the only part of the job that I actually enjoyed. The rest was all about balance sheets, profits, and corporate politics. This was the very thing I wanted to avoid doing when I chose a technical, rather than a business profession. Nonetheless, the combination of my qualifications, skills and experience, meant that I was well-suited to the job. The salary wasn’t bad either. Of the site work that I did during this time, I really enjoyed the power supply that we installed for critical systems, like medical facilities, laboratories, and the aviation industry. These guys use finely calibrated electronic equipment and the slightest interference in the electrical supply would deliver false information. When the equipment that you use is literally a matter of life and death, accuracy is of the highest importance. This meant using double conversion inverters with less than 1% THD and perfectly stable ground connections. All this technical jargon might be too much information for some. But this is what I found challenging. Basically, we supplied the cleanest, purest electricity that modern technology can deliver. The end result is that the equipment has to be accurate to within 0.001%. As advanced as my technical training was, I feel that it is my hobbies that make me most suited to the job that I now do – which mostly entails writing articles about tools, machinery, and mechanics. I have a lifelong passion for restoring and fixing old cars, as well as building projects. Between these two interests, I have used just about every tool ever invented. Building projects require all types of saws, angle grinders, power cutters and power drills of every description. Though it’s with the cars that I have done the most intricate work. I like to think of myself as an amateur engineer. Though I must stress the word amateur. I learned mechanics by trial and error. Believe me, there were a lot of errors, especially in the early years. I started fixing cars when I was 16. Forgive my indulgence, but I would like to share two of the car rebuilding projects with you. These two vehicles will remain in my memory as the most beautiful things I’ve ever done. The first was a Ford Capri. Not many people reading this will know the Capri. It was Britain’s answer to the Ford Mustang. Just as beautiful, to my mind, even more beautiful. It didn’t have that all-American muscle car image though. The Capri came out with small engines, starting with 1.6L, 4-cylinder screamer, a 2L 4-cycliner, and 2.5L V6, which was later upgraded to a 2.8L V6. I had the 1.6L version which was a fantastic car, a typical boy-racer as the British call it. The Ford Capri was my first full car restoration project. I took it very seriously and rebuilt the car completely to the original specifications. I only made one exception, changing the carburetor to a side-draft Weber. This added quite bit more horse power to the small engine. The superbly geared transmission and diff, did the rest. That car wasn’t slow for a small 1.6 designed in the 1960s. My second great project was a 1977 VW T2 van. The Germans called it the Kombi, my friends called it the Hippy Wagon. This car was significant to me, because I did some major modifications and re-engineering. Like I said earlier, I’m not real engineer, but give me an angle grinder, bench grinder, welder, and a lathe, and I’ll probably be able to fabricate any part you need. My first attempt with the VW modification was to change the old air cooled engine to a water cooled Toyota engine. This was the 4-cylinder used in the Toyota pickup of the time. This engine was ultimately reliable and provided quite a bit more torque than the old VW “boxer” engine. But it seriously lacked the wow factor. So I moved on to the Audi 5-cyliner 2.2L engine. I had already fitted the water cooling system. So all I had to do to mount the Audi engine, was to cut and weld a new engine mounting strut. I also had to modify the clutch bell-housing for a second time. By now I was quite proficient at measuring and cutting for the old V-Dub. I’d also become an expert at removing the engine by myself. Those old Volkswagens were designed for easy engine removal. You just had to jack the car up high enough to drop the engine out the bottom. With a few jacks and ratchet ties, I could get that engine out in about half an hour, without any assistance. That Audi engine did the trick. Along with the BMW 3.0L, it must be my all-time favorite engine. The BMW was a 6-cyclinder engine with a larger (3-liter) capacity than the 5-cylinder Audi. Both engines were designed in the 1970’s and had a common trait that was unique for the time. The engine was angled at about 12%, so the pistons weren’t perpendicular to the crankshaft. I’m too sure what this means in terms of mechanical engineering. But both these engines were incredibly powerful (and reliable). Audi kept using that engine, in various formats, for over 3-decades. That’s my history. So how did I end up writing articles about tools and machinery? This, final part of the story, began while I was Managing Director. Like I said, most of the job didn’t appeal much to me. I had moved away from the technical stuff that I so enjoyed. After about 5-years of doing this job, I became restless. Maybe it was a bit of a mid-life crisis. I had probably gone as far as I could in my career. As much as I yearned for those earlier days of problem solving and grinding with tools, I wasn’t quite prepared to move backwards. So I took a 6-month sabbatical. I took some time off to reflect on my life and decide what I really wanted to do next. I spent my days consumed with building projects and playing with my cars. All the while, mindful of the big question: what do I actually want to do with my life? For the first time, I was at home a lot. This was fantastic. I could spend long hours in my shop, amongst my beloved tools. But I also needed an external challenge. Something my work had always provided. One thing became significantly clear, I wanted to work from home where I could balance my time between work and my personal interests. My daughter was all grown up by this time, so I didn’t need to make much money. But still needed to earn a living. My lightbulb, aha, moment came when I thought about writing from home. It was something that I had never really considered as a career. This, despite a natural talent for writing. I had won many literary awards at school, and my grade-12 English teacher told me that I should never give up writing. Now, more than 30-years later, these words resonated with me. Deciding to start an entirely new career in my mid-forties, with no real experience or qualifications in the field, may seem crazy. But I was determined that this is what I wanted to do. I had a lot of knowledge to share, and writing appealed both to my need for creativity as it did for the opportunity to work from home. I spent some time researching how one can earn a living, writing from home. The answer became clear quite quickly. There’s an endless demand for quality web content. Initially I imagined that I could spend my days writing about cars, DIY, and technical stuff. The things that really interest me. I also love cooking, so that was something else I could write about. Though, the reality was different. I honed my internet writing techniques, learning about SEO, LSI, Google algorithms and the general art of copywriting. Once I had the confidence that I could do the job, I signed up with every bargain basement online writing agency that I could find. Basically anyone who would have me. The first 3-months were tough and I was writing about all sorts of stuff that I never thought I would. I found chainsawjournal.com, quite by accident. I saw an article advertised on a general online writer’s noticeboard for a review article on a generator. I thought: “hey, I can do that”. My job involved generators for many years, so who better to write this. I didn’t realize it at the time, but this one article was the best thing that ever happened to me. It was the beginning of a wonderful relationship. Over the last few years, writing for this (and several similar sites), I’ve been able to share my passion for tools, cars, and machinery with countless people around the world. I like to think about who is going to be reading this, wherever they may be. I think many of the readers are guys just like me. People who just love DIY and tools, camping, and all the cools stuff in life. So when I write, particularly about tools, I imagine who will be using this tool. How do you use it, and what do you use it for? So whether it’s a tool review, or an advice piece, I always like to write as much about how a tool is to use, as I do about all the technical specifications. It’s about using my long experience of using tools and working in technical industries. Most of all, I love reading the feedback from our readers. Your questions inspire me, it gives me an idea of who you are, and what you want to know about the topics. Answering reader questions is really satisfying. If I can help you decide which the better generator is for your needs, or if you need a miter saw, instead of a cutoff saw, is what it’s all about. It’s also about helping people understand tools better and how to use them. My job relies on both my experience, and constant research. I like to be the first to know when a new tool enters the marketplace. Researching the tool manufacturers, their history and their current research and development, has become a real fascination. Like when DeWalt first introduced their 120V FlexVolt batteries and tools. For a while, I was consumed with finding out everything I could about these new tools. It’s just as exciting sharing this with you, our readers. Kassie Kasselman is a content writer for The Chainsaw Journal. He has published over 50 tool reviews and informative articles with them. For over ten years Kassie coauthored and was the technical advisor for Technical training material at tertiary level. He updated and refined large industrial Machine Maintenance Training Material for large manufacturing companies. Including a Kimberly Clark Tissue manufacturer, an international bottle manufacturer, food can manufacturer and many more large manufacturing companies and mines. Kassie Kasselman writes about tools because of his lifelong involvement in using tools. He was trained and gained extensive experience in using all workshop and hand tools used in Stainless Steel Plate and sheet steel manufacturing. It includes shaping, welding, and finishing of hundreds of projects. The list of 57 tool types used include a full-sized CNC Waterjet cutter, CNC Bender Press Brake, CNC punch and all manual sheet metal tools. His hobbies are various and includes designing, and building professional quality HI-FI speaker systems from solid wood. In doing so he uses all woodworker’s tools in a workshop. For some complex designs Kassie relies on CNC laser cutters to cut the intricate shapes. Almost all the furniture in his home is hand built using cabinet maker’s tools. His interest in the Internet of Things and knowledge of SCADA system evolved into building various small robotics projects, making complex parts with hand tools. As an ardent DIY man, he does all repairs in and around the house, including refrigeration and car maintenance. He does it all, nothing goes to a workshop. The tools used include all mechanics, woodworking, welding, electronics and HVAC maintenance tools. He developed extensive skills in maintaining all tools and equipment used in gardening and around the pool. Kassie worked in an engine rebuild facility for many years using tools like crankshaft grinders, CNC crankshaft welder, surface grinders, line-boring, etc. Including all the tools and hand tools used in such a facility. During many years’ involvement in motor sport as a driver, navigator and rebuilder the honed his motor engineering skills. In building and maintaining the cars, he used many specialized tools used in the motor trade. Companies like NCR, XEROX and Data General trained Kassie in maintaining mainframe, mini-and microcomputers and peripherals. He worked as a maintenance engineer for 30 years to maintain computers, peripherals, SCADA systems and medical computers. Using tools like oscilloscopes, signal generators, spectrum analyzers and all hand tools. Kassie’s interests include anything mechanical and electronic that exercises the gray matter, like space, space travel, and computers. He continues to use tools and equipment skillfully developing sound reproduction systems and for DIY maintenance. Photographing birds and African Wildlife and walking the dog keeps him healthy and fit. When reviewing tools and equipment for the journal Kassie draws heavily on his over 50 years’ experience using all the tools in the industry. He has an intense interest in how tools and all mechanized equipment develop and keenly follow all the inventions and new trends. Despite his extensive experience he does in-depth research about the tools he reviews to ensure that the content is relevant and up to date.